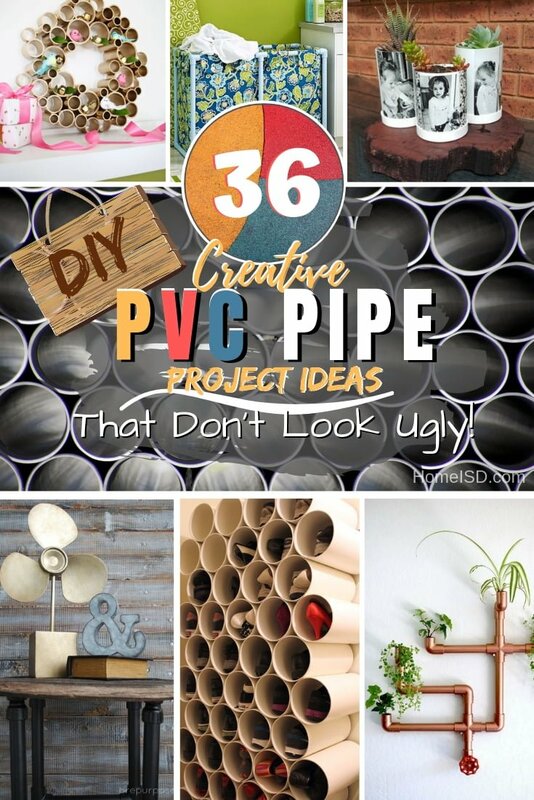 The only problem with most DIY PVC pipe projects is that they are plain ugly. 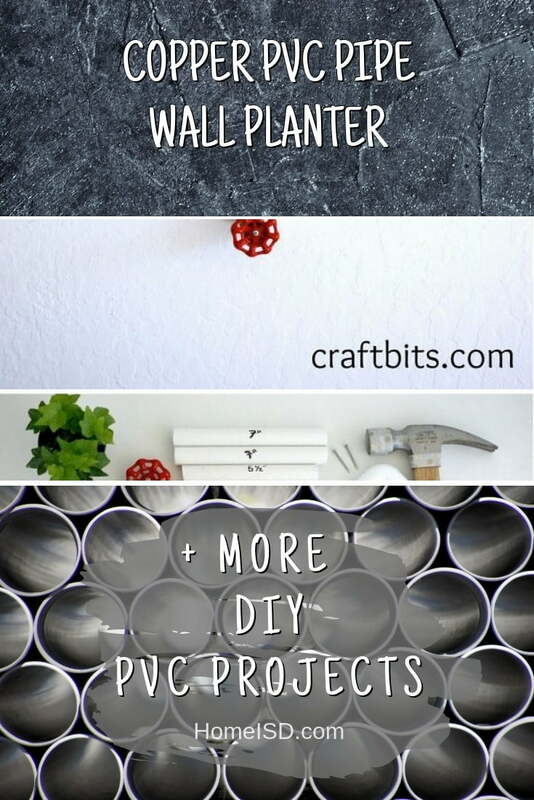 Check out these 36 creative ideas on how to make it useful and beautiful. 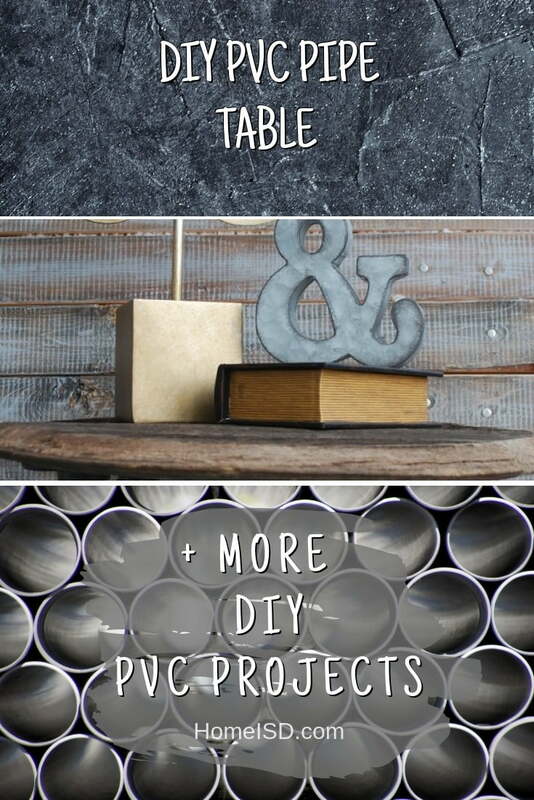 Two materials make anything DIY related easy. 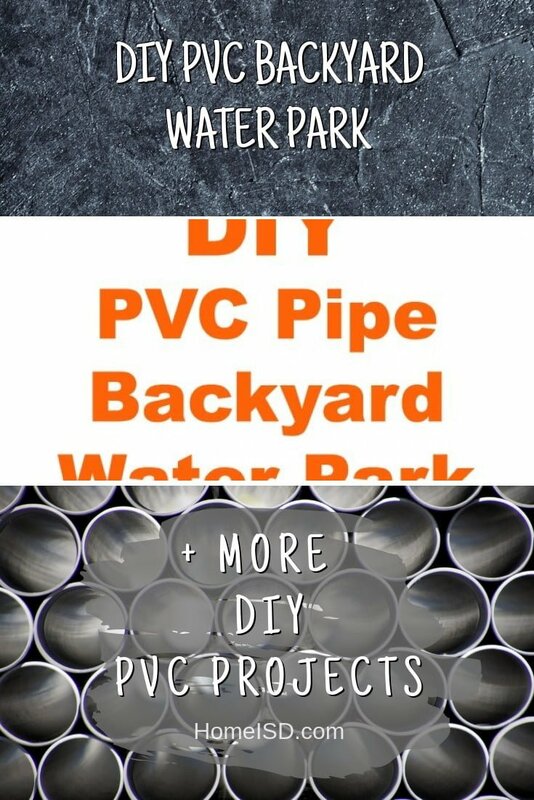 The first is pallets and the second is the PVC pipe. 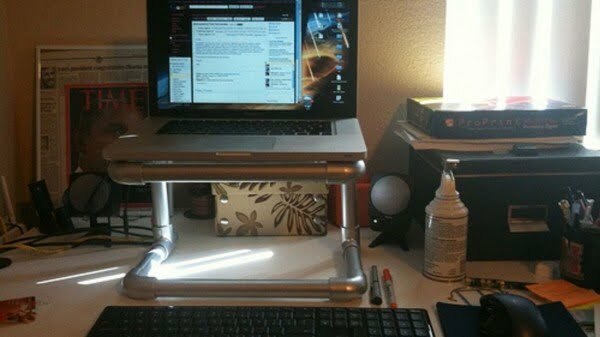 So it happens that the flexibility of its design makes it easy to construct just about anything from it. 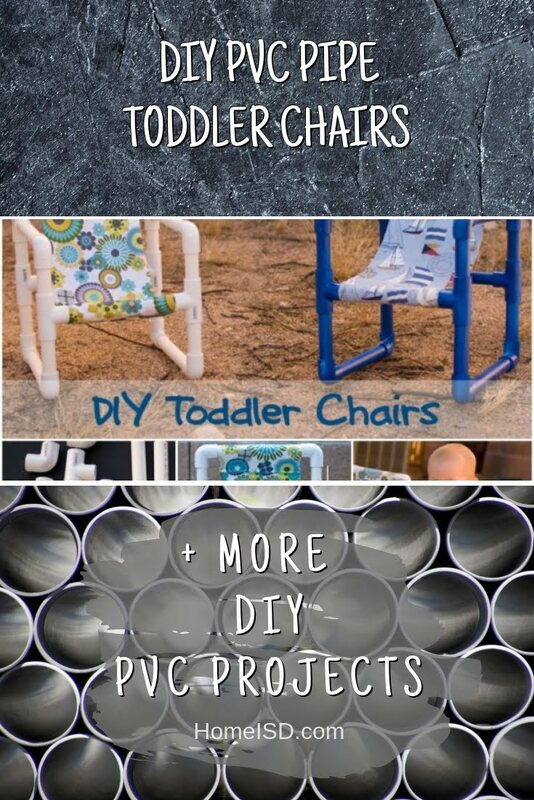 You can make furniture, planters, storage, art, decor items, even games for your kids from it. You have to be careful, though. 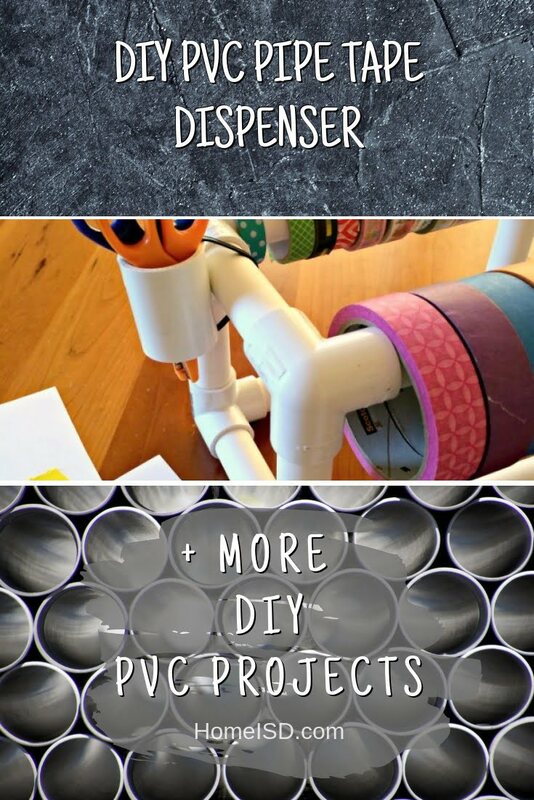 Plain PVC pipe looks ugly, and you don’t want to make a contraption that is albeit useful, becomes a total eyesore in your home. The following ideas will make sure that doesn’t happen. 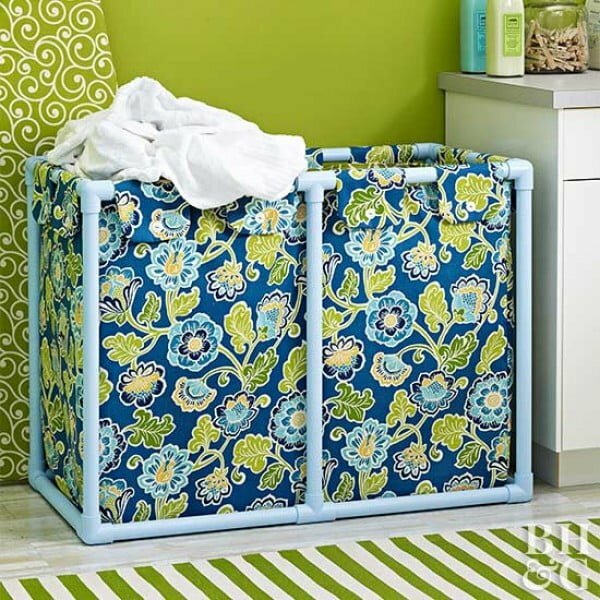 Assemble a DIY laundry bin with our free pattern and how-to instructions. 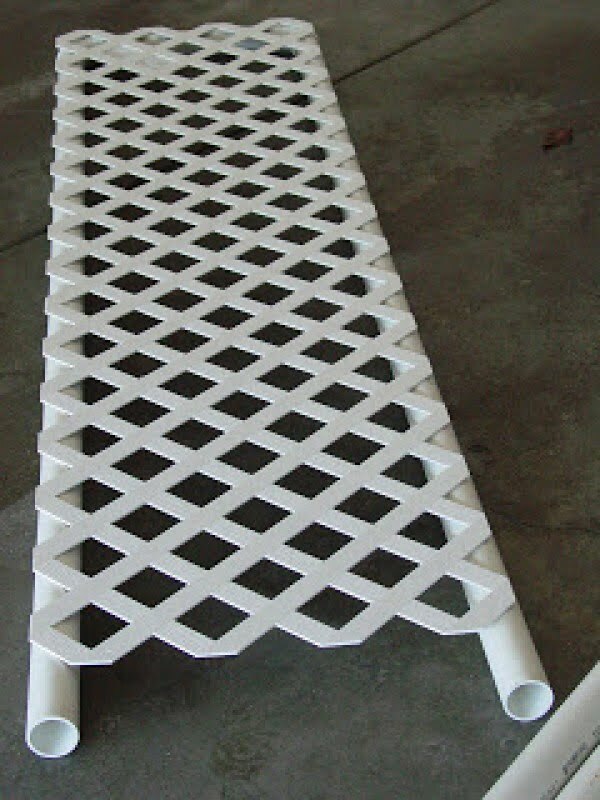 The frame is constructed from PVC pipe and fitting. Read the link for the entire details. 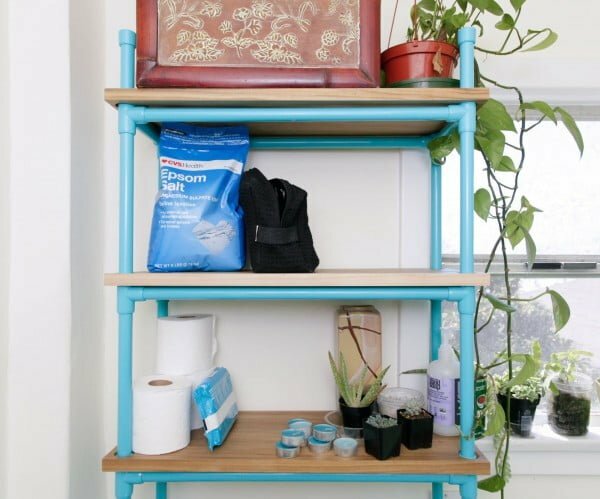 This is a fantastic PVC bathroom shelf you can replicate the easy way. Follow the article for the full guidance and instructions. 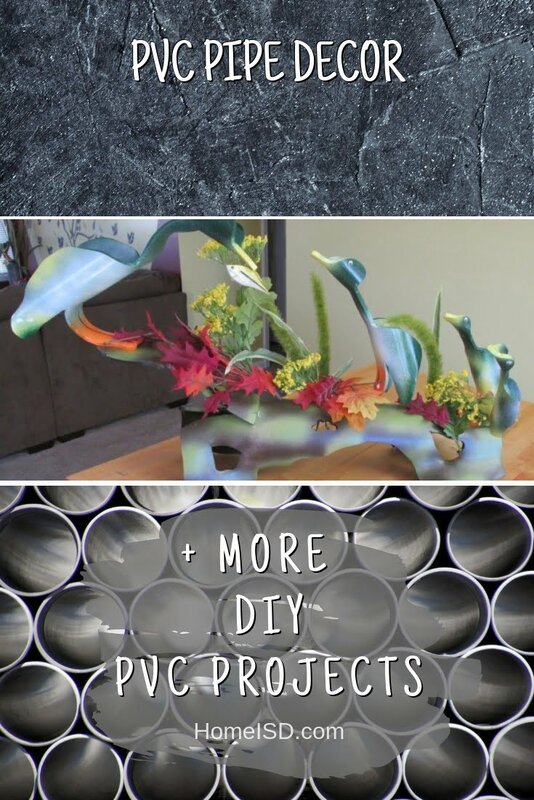 Create this tremendous DIY PVC pipe sculptural art on a budget. Read the article for the entire guidance and instructions. 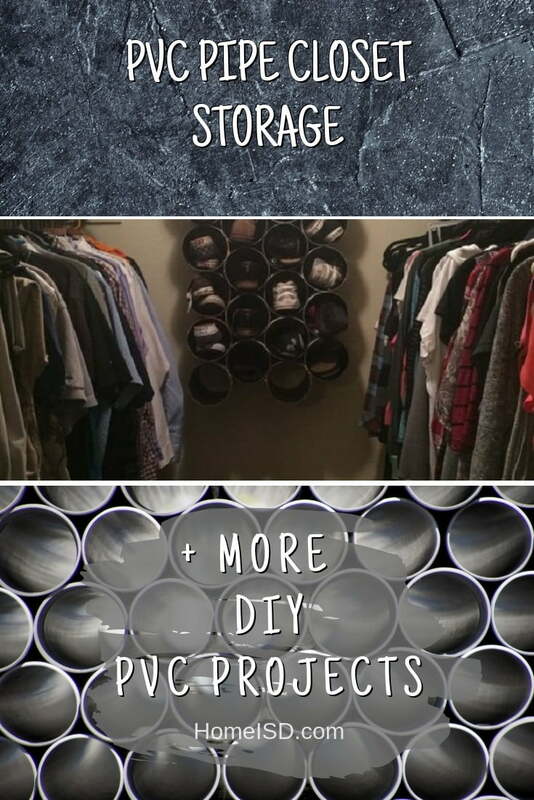 Make use of all that closet wall space in your walk-in closet by building a PVC pipe storage rack. 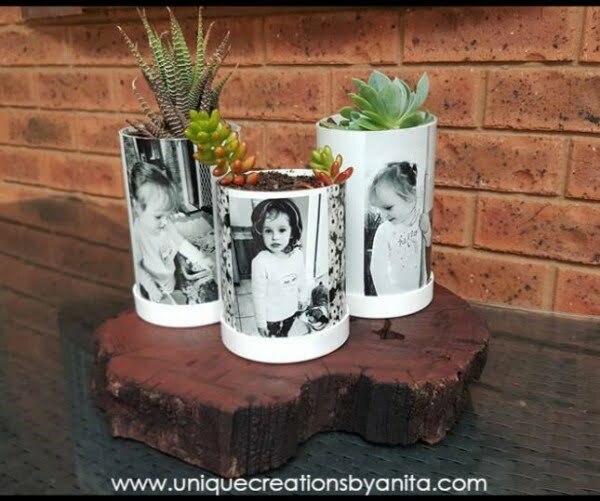 Check out the tutorial for this brilliant idea. 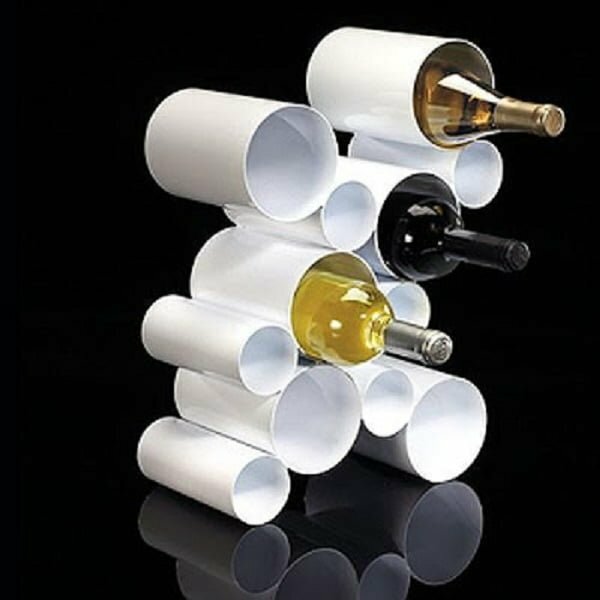 The PVC pipe is perfect for holding wine bottles on display if you can put this rack together. Check out the tutorial for the idea. 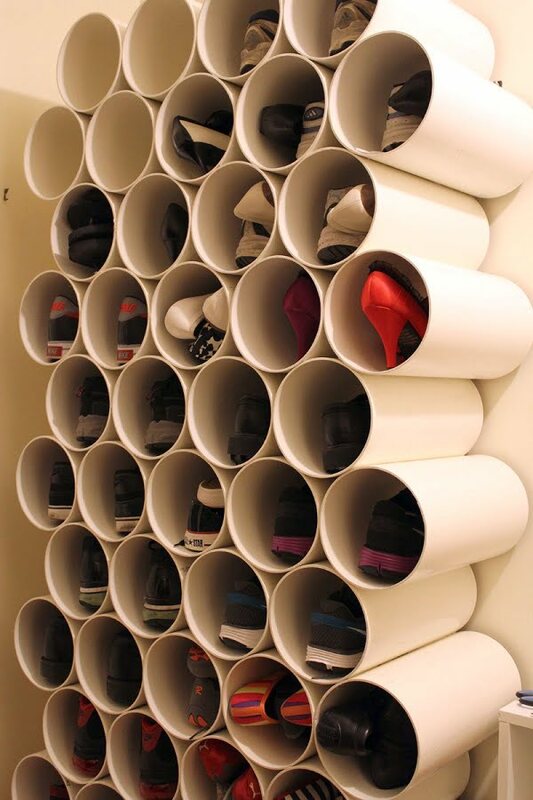 Another excellent use for the PVC pipe is making a fantastic shoe rack. 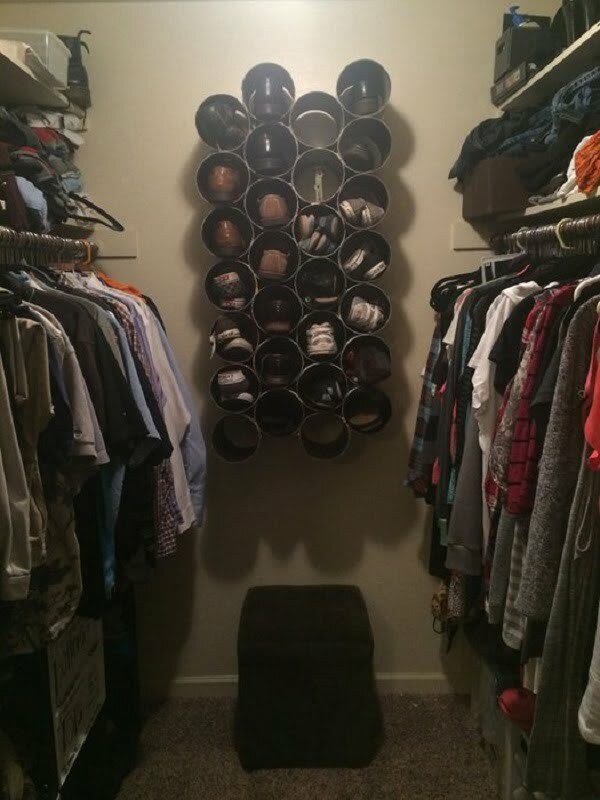 It’s wall-mount and takes up very little space, giving you so much room to store those shoes. 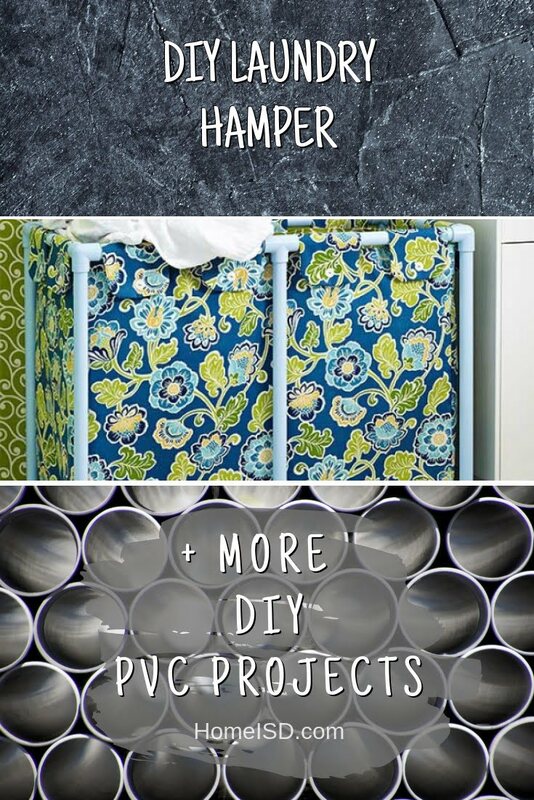 Great idea and tutorial. 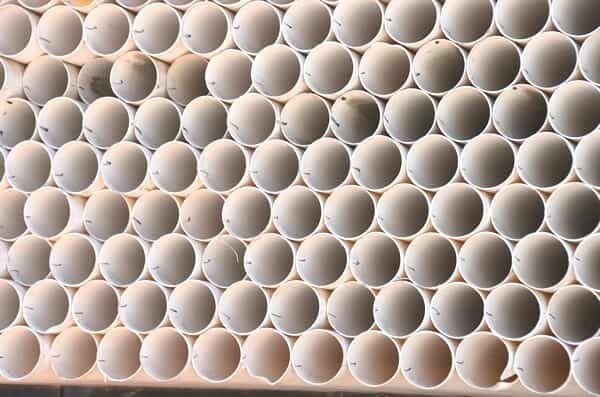 You know you can make art from PVC pipe, and this is one of those cases. 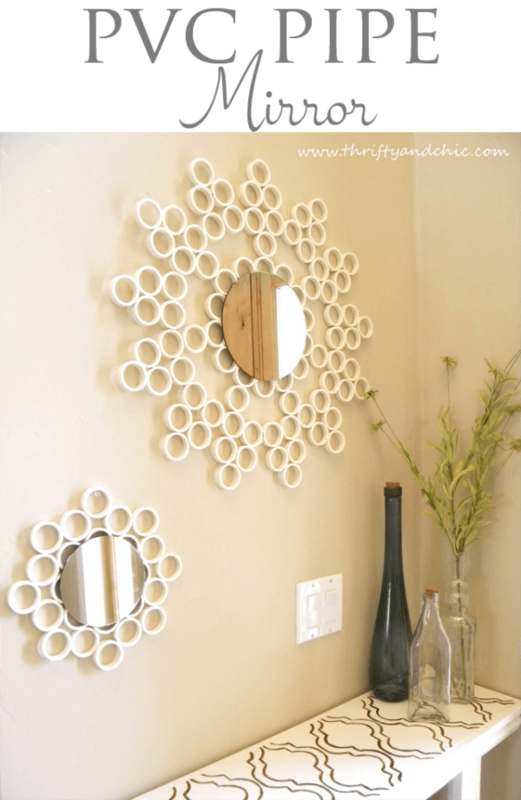 What a brilliant idea to create a beautiful accent mirror frame. You can make several of these any time. Check out the tutorial. 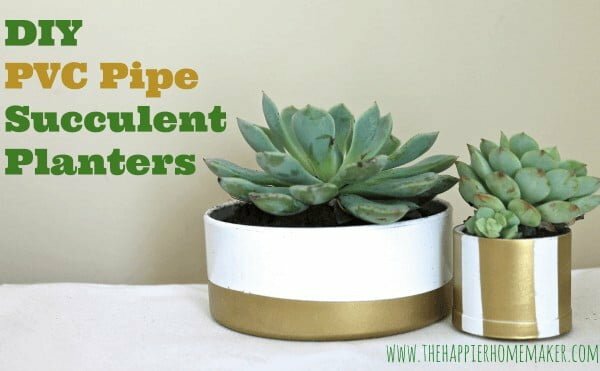 Give the pipe copper look with spray paint, and you get this stylish wall planter. 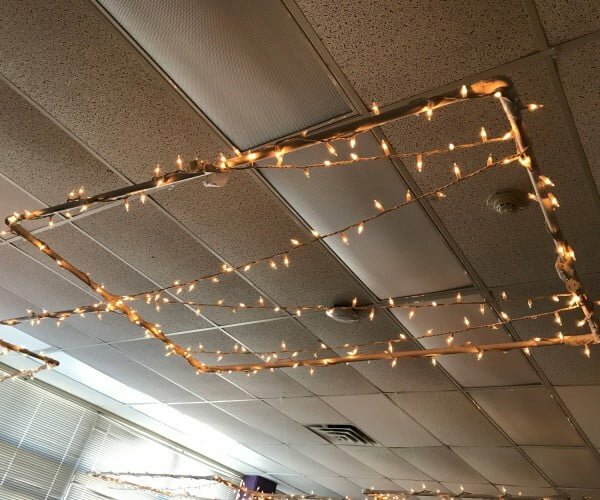 Unique idea! Check out the link for the tutorial. Where else but the kitchen window is the perfect way to grow herbs. 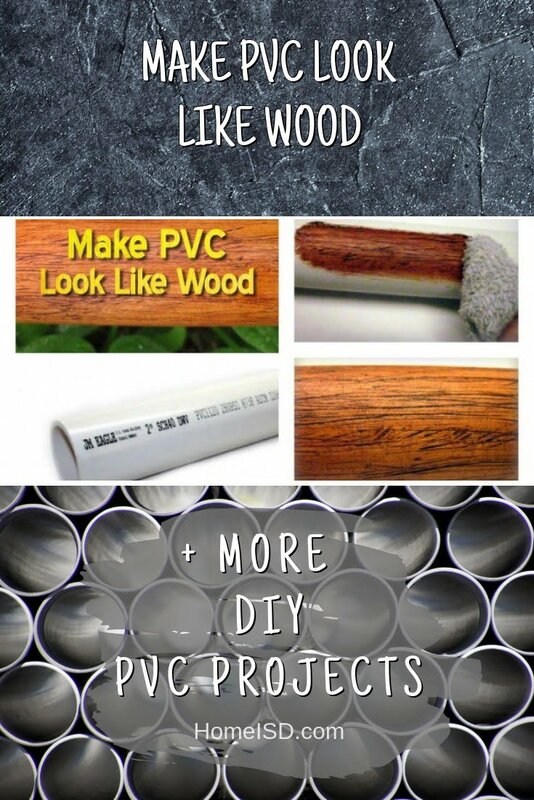 And here’s how to do it conveniently with a PVC pipe herb planter. 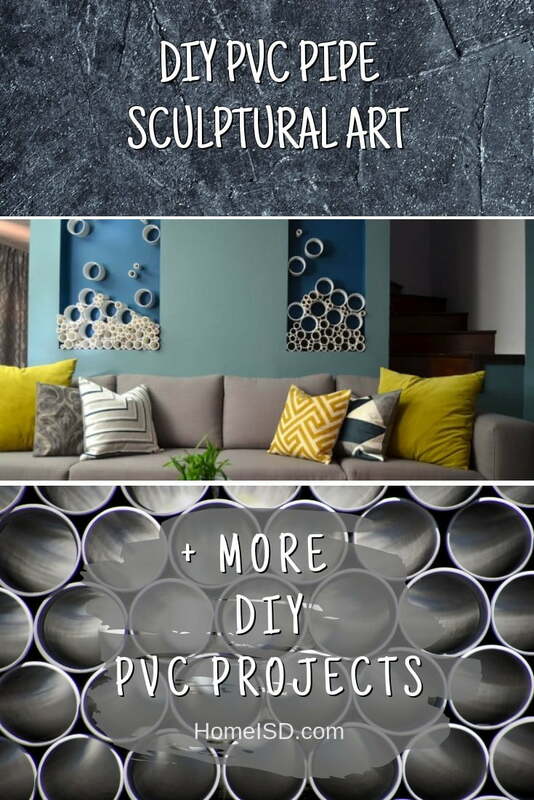 Check out this idea and tutorial. 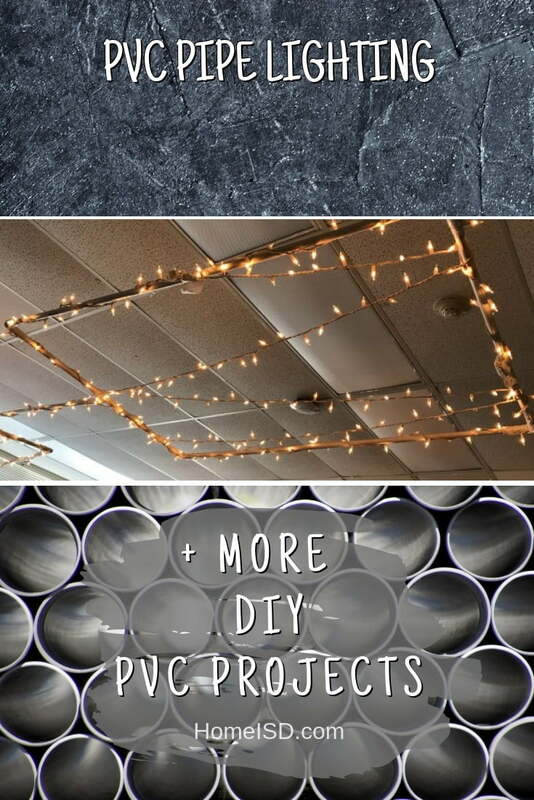 It’s just another idea for artsy PVC lights – and it’s a brilliant one. 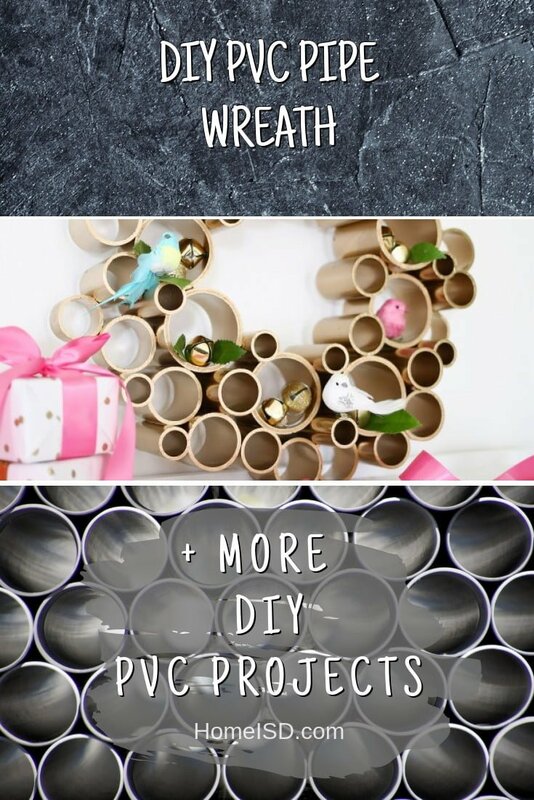 Check out how you can make it too. An easy tutorial that even beginners can do. 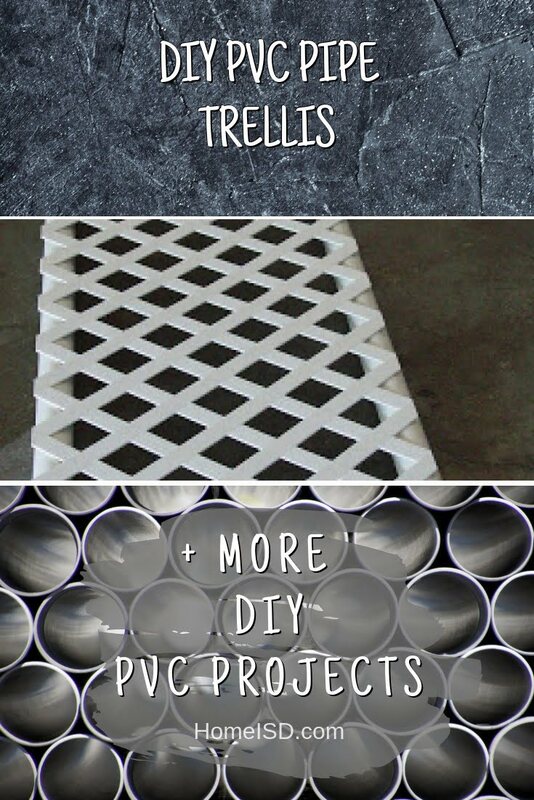 A beautiful trellis that you can easily make from PVC pipe. 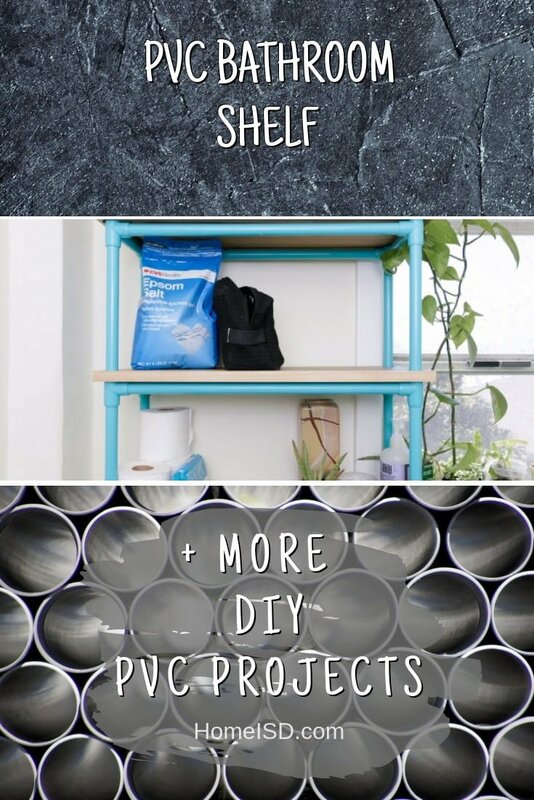 It’s a very cheap alternative that you can build on a budget. 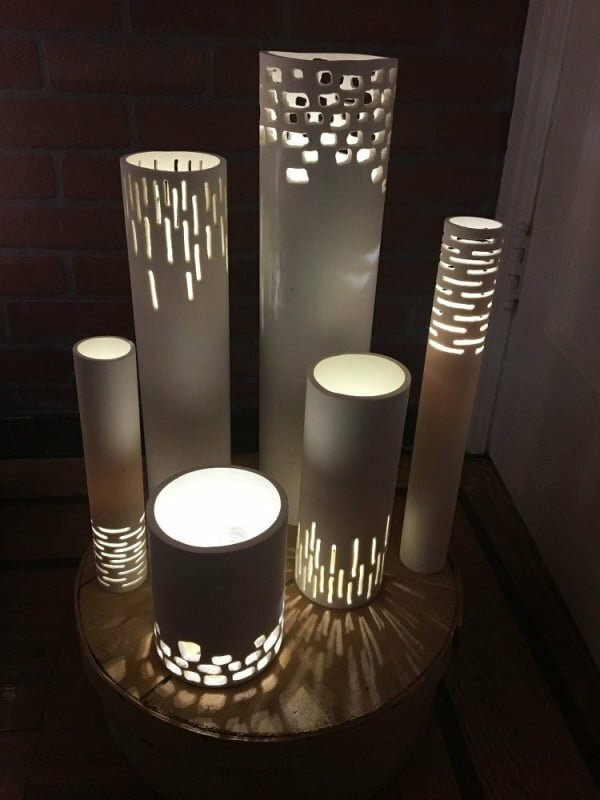 Check out this link for the plans and tutorial. 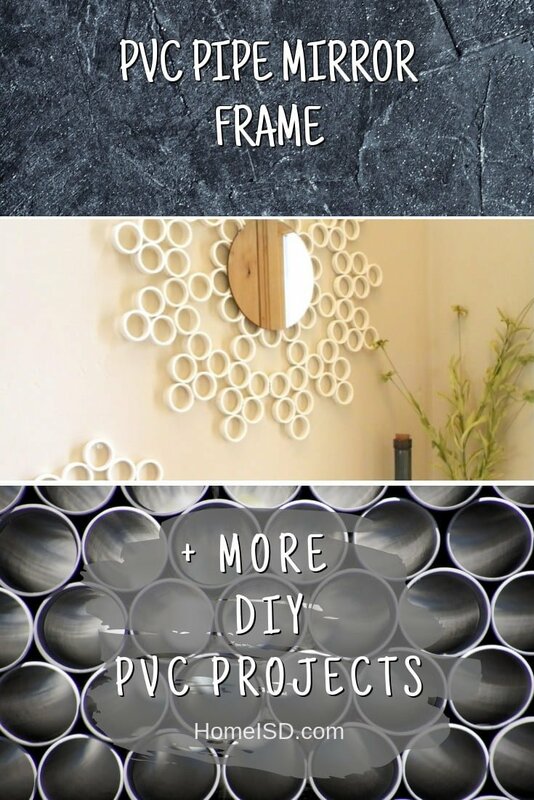 Want more ideas for PVC pipe art? 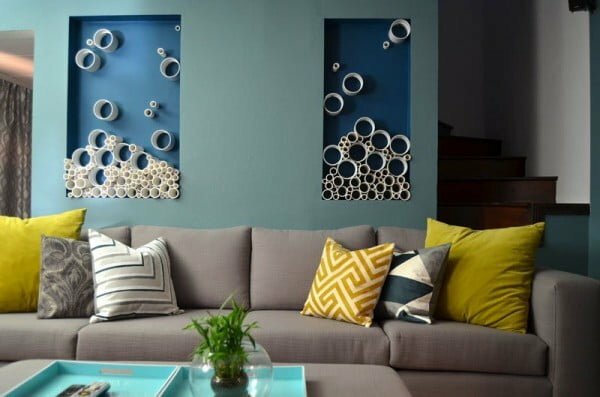 How about this stylish metallic wall decor piece and display storage? It’s brilliant! Check out the excellent tutorial. 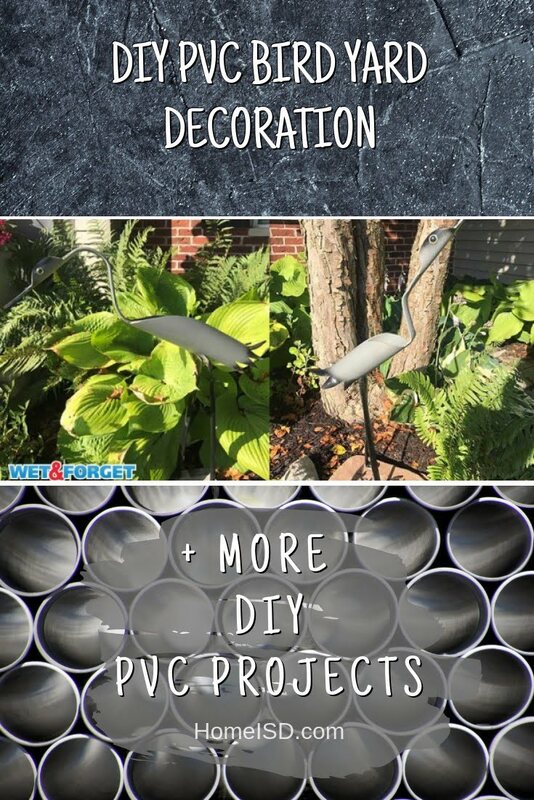 Try making a DIY PVC bird. 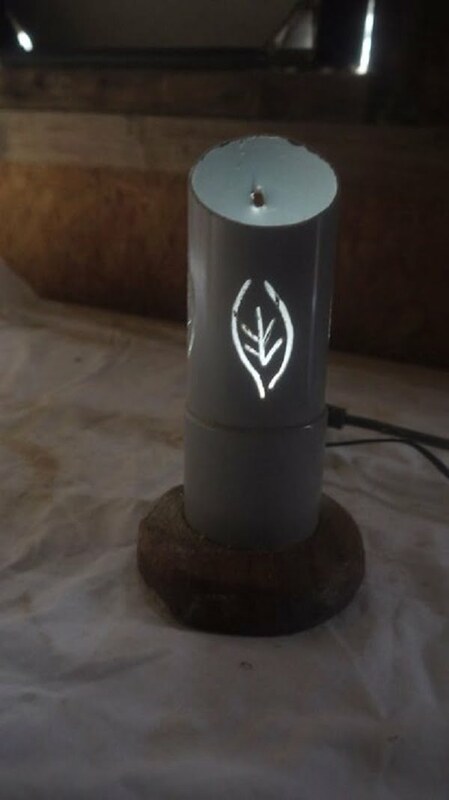 They make great yard decorations and are an easy gift to make for family or friends. Check out the tutorial to see how to do it. 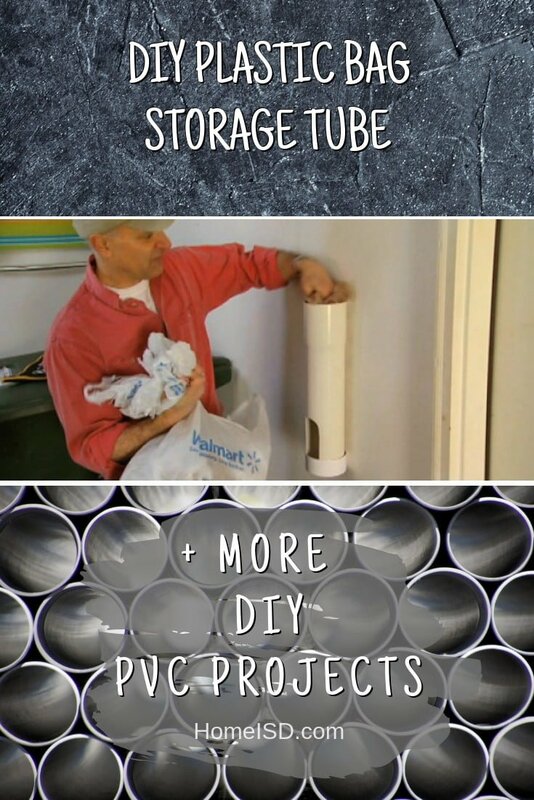 Watch this video to see how to make a storage tube to keep plastic bags organized from a piece of PVC pipe. See the article to get the complete details. 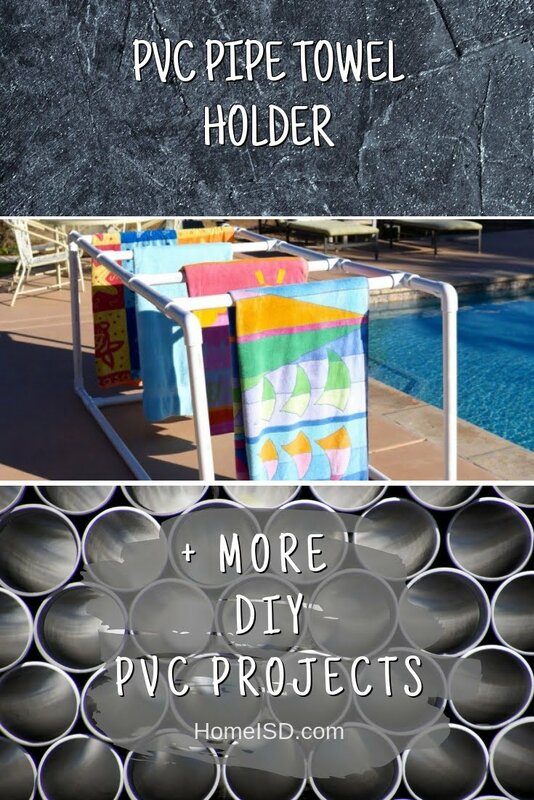 Create an outdoor towel holder out of PVC pipe to keep your towels dry and smelling fresh with this fun tutorial. Check out the link to learn how it’s done. 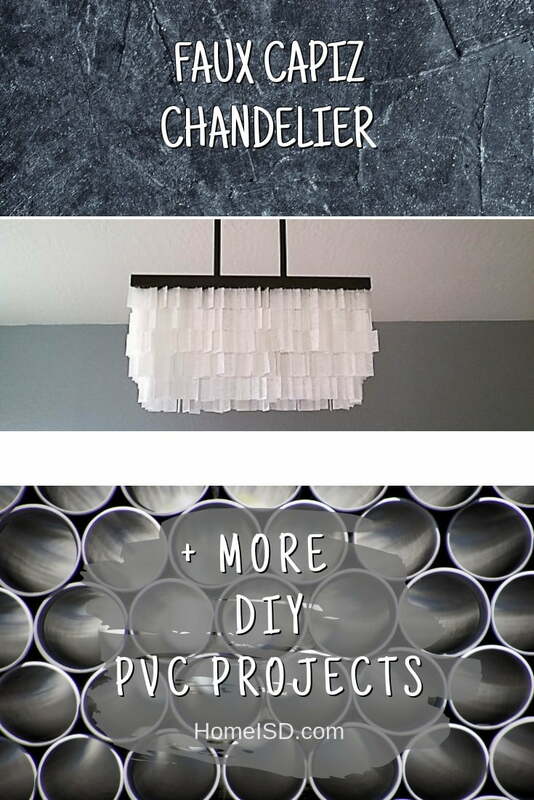 Save hundreds of dollars for a high-end look with this beautiful knock-off faux capiz chandelier tutorial. Check out the tutorial to find out how to do it. 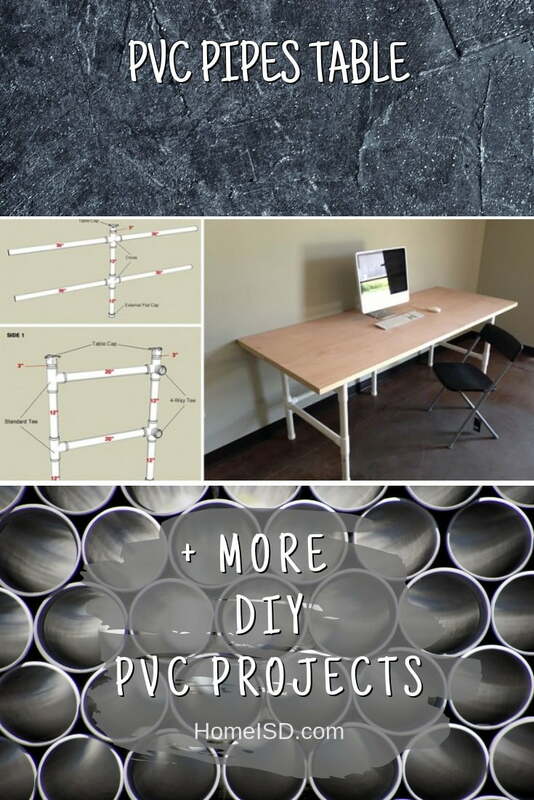 PVC Pipes are so convenient. However, they don’t look attractive. 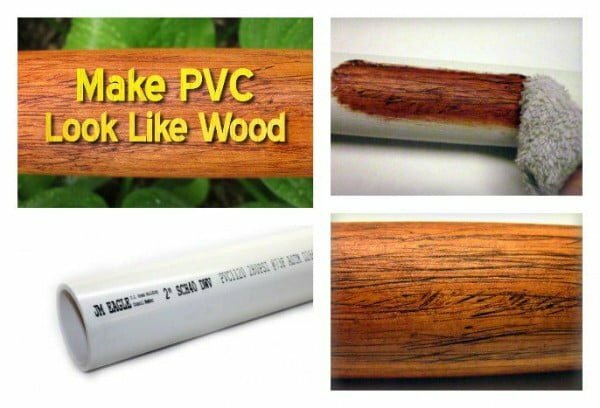 Here is the genius idea of how to make PVC look like wood or another color to match home decor. Check out the tutorial to learn how to do it. 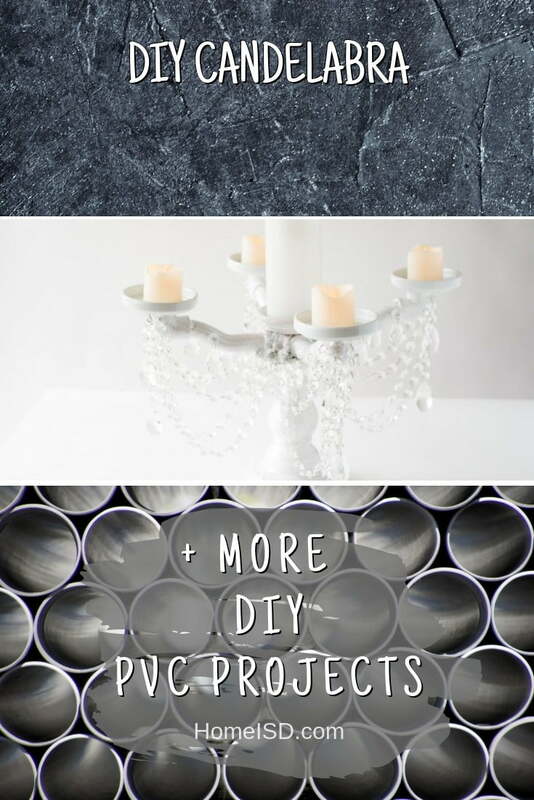 In a crunch or on a budget? 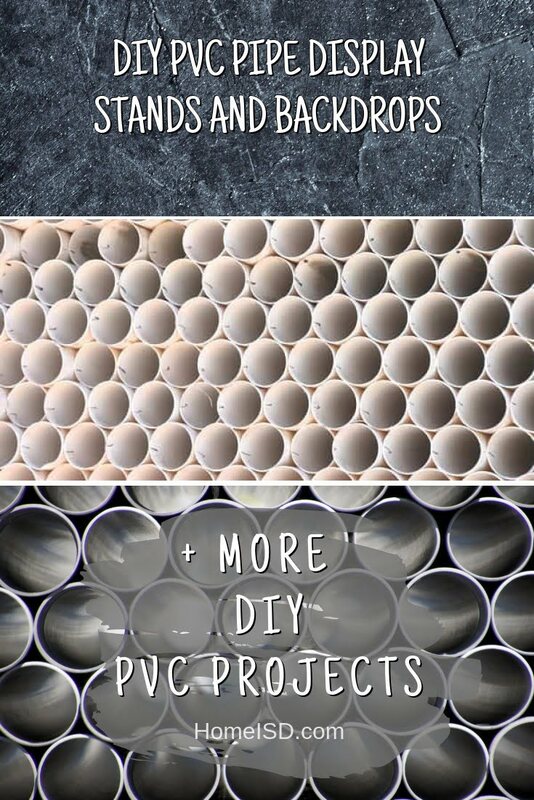 Read this DIY article about how to use PVC piping to create photo booths and display stands for your next event. 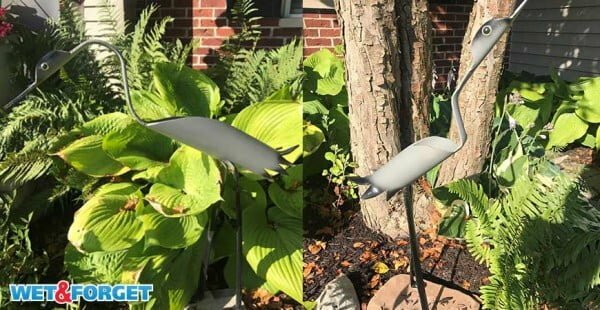 Read the tutorial to see the complete details. 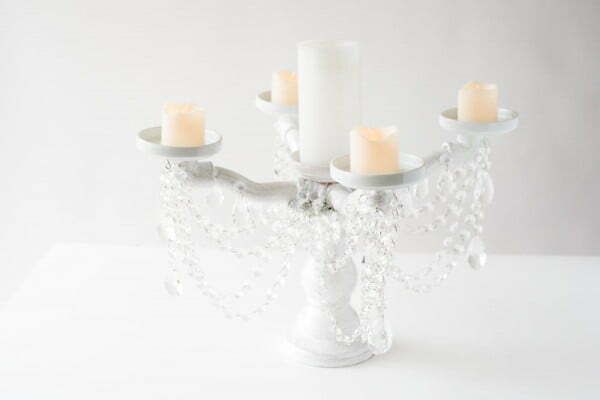 Learn how to make the easiest candelabra ever using a strong glue, PVC pipe, and paint. 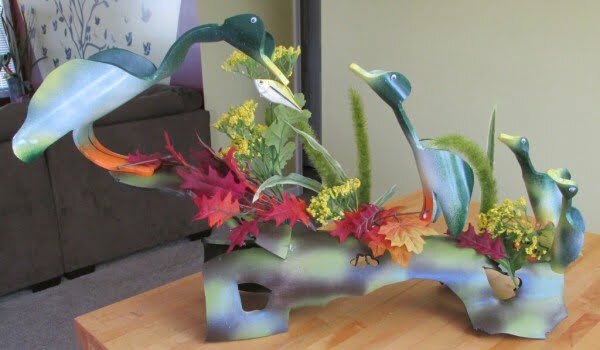 When completed, visitors will never guess what your stunning centerpiece is made out of. Check out the tutorial to see how to do it. 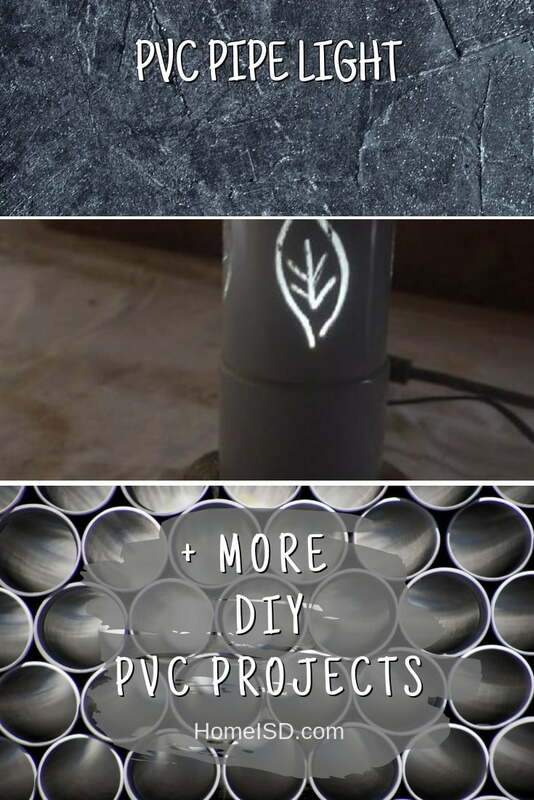 Create this excellent PVC pipe light the easy way. See the article for the complete guidance and instructions. 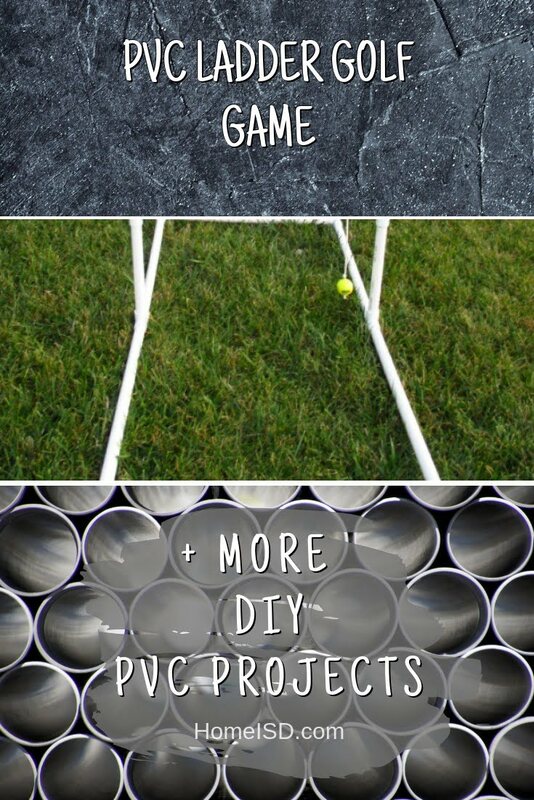 Create the DIY ladder golf game form PVC the easy way. Check out the link to see how to do it. 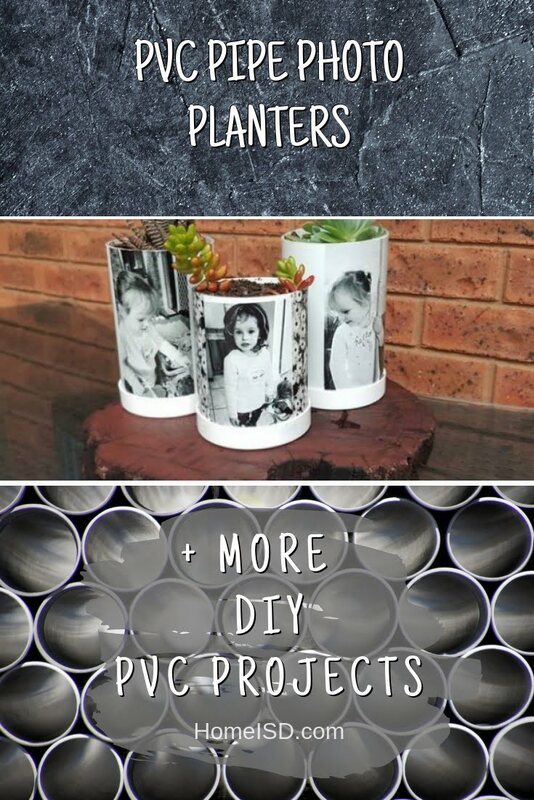 This is an excellent idea for PVC pipe photo planters for an easy home project. Follow the tutorial to learn how to do it. 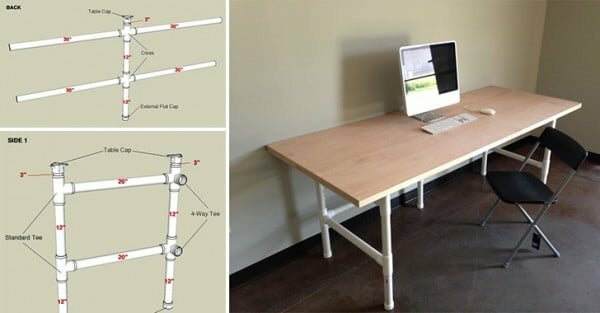 Use PVC pipes to build this simple and inexpensive table. Read the tutorial to see the complete details. 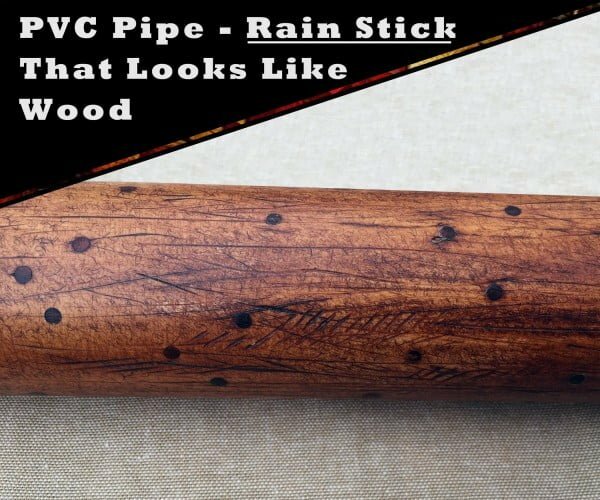 What a wonderful idea for a PVC pipe rain stick that looks like wood. See the article to find out how it’s done. 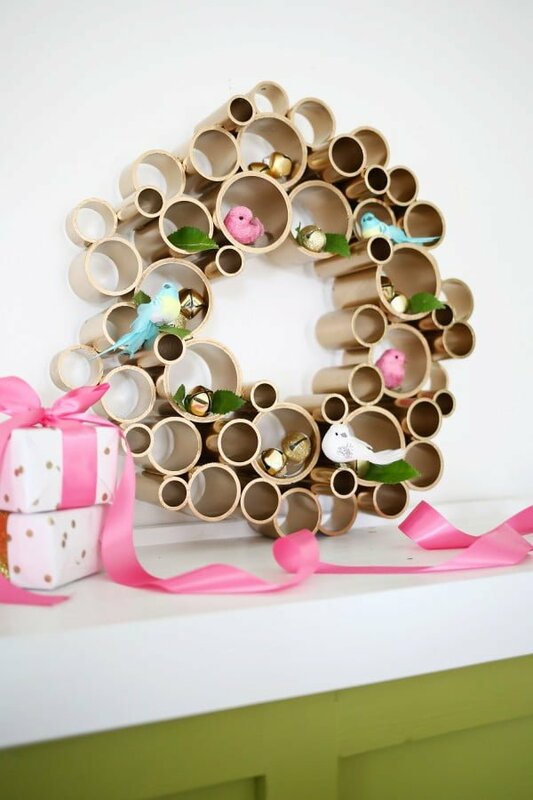 With PVC pipe craft you can make some beautiful unique home decor or yard decor. 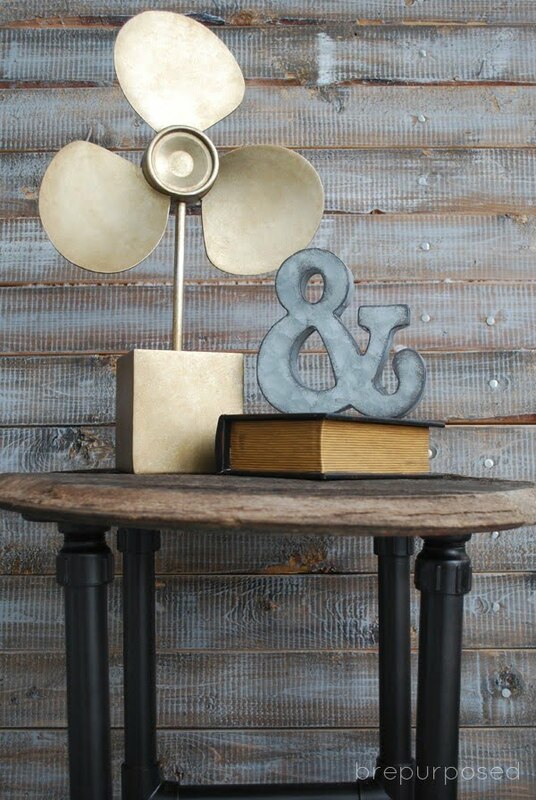 These are made out of plumbing pipe and look great indoors in a corner on a round table. Read this website to learn how to do it. 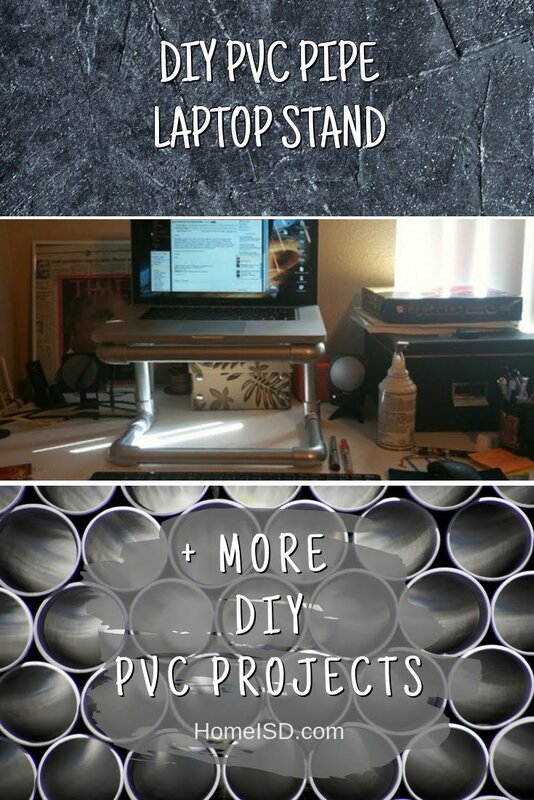 Build a simple and effective PVC Pipe laptop stand on a budget. See the link to learn how to do it. 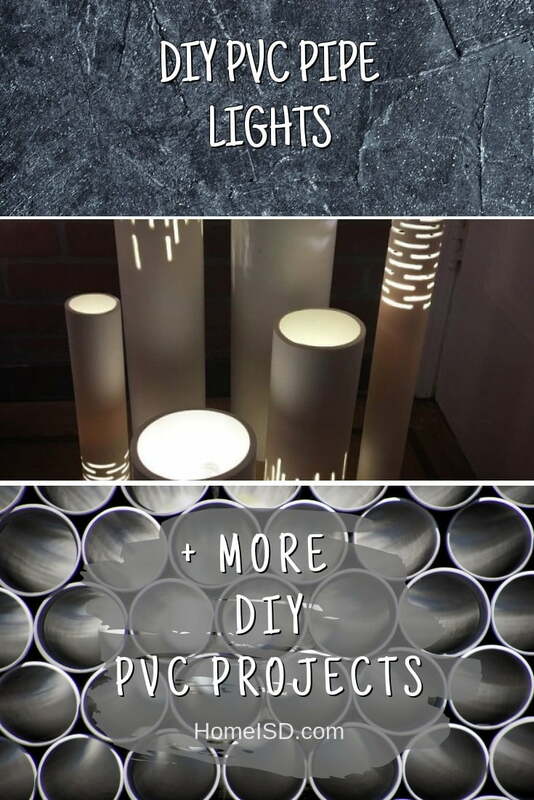 What a wonderful PVC pipe lighting idea with string lights you can replicate the easy way. 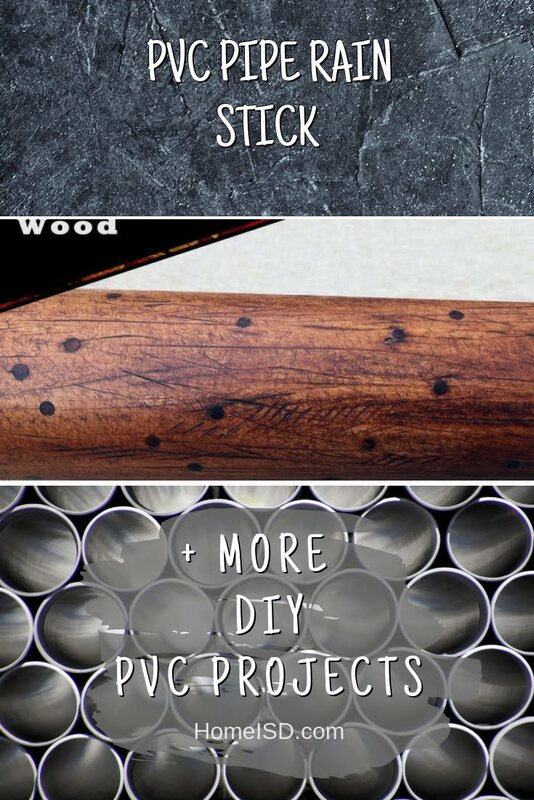 Read the link for the entire plans and instructions. 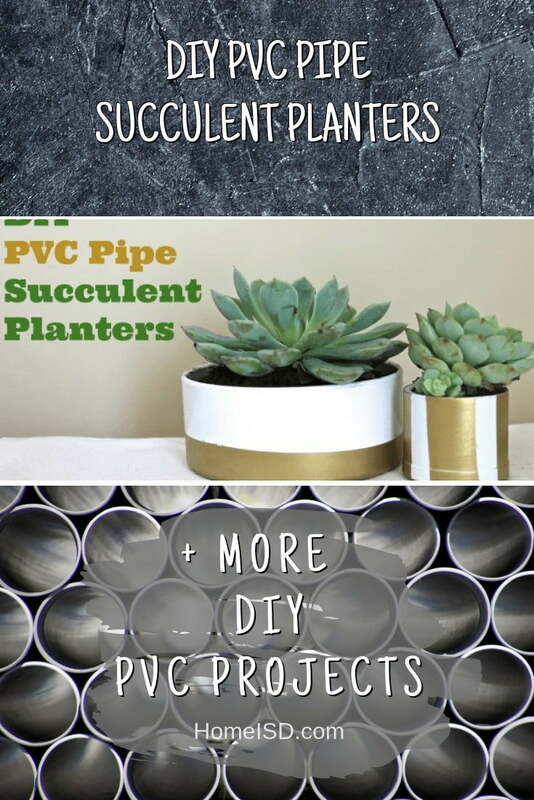 Turn inexpensive PVC pipes into stylish succulent planters with this easy DIY tutorial. See the link for the full plans. 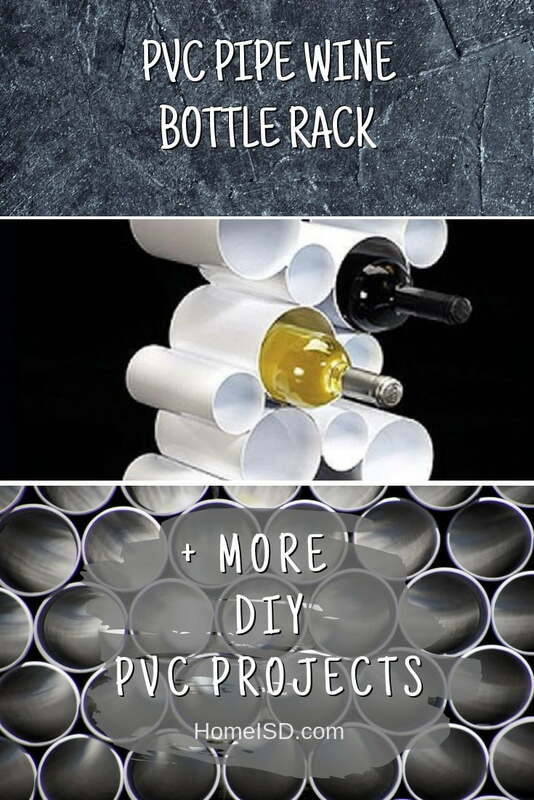 Read about how this wine barrel top got transformed into a DIY PVC Pipe Table. Follow the link to find out how to do it. 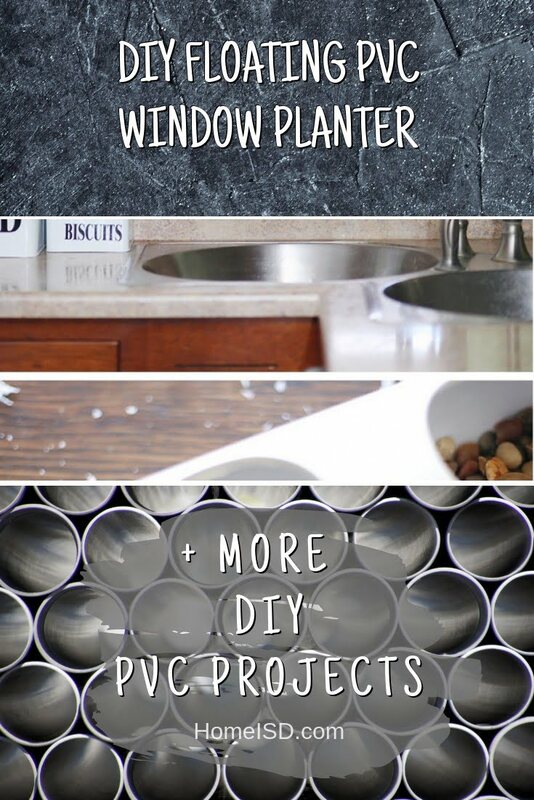 For just around $30 create this water tunnel that will keep you cool throughout the summer. See the article for the full details. 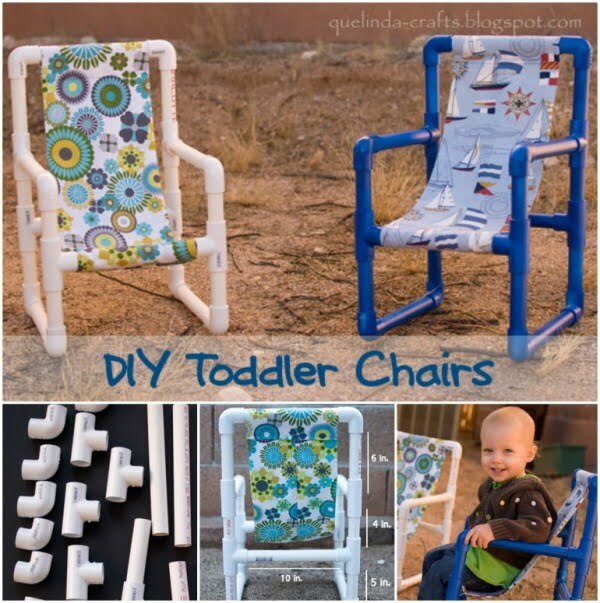 These Toddler Chairs are perfect for camping, school or park film, or extra seating at home. Follow the link for the full details. 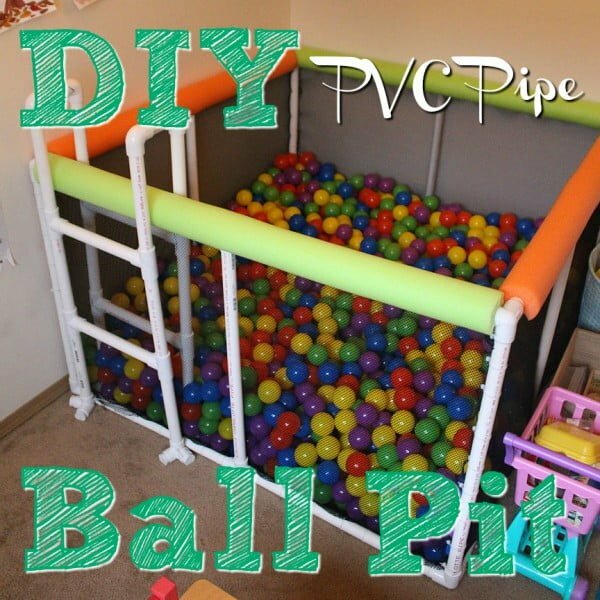 See how to make this easy DIY PVC pipe ball pit, that’s easy to make, tons of fun for kids of all ages, and doesn’t break the bank. Check out the article to get the full details. 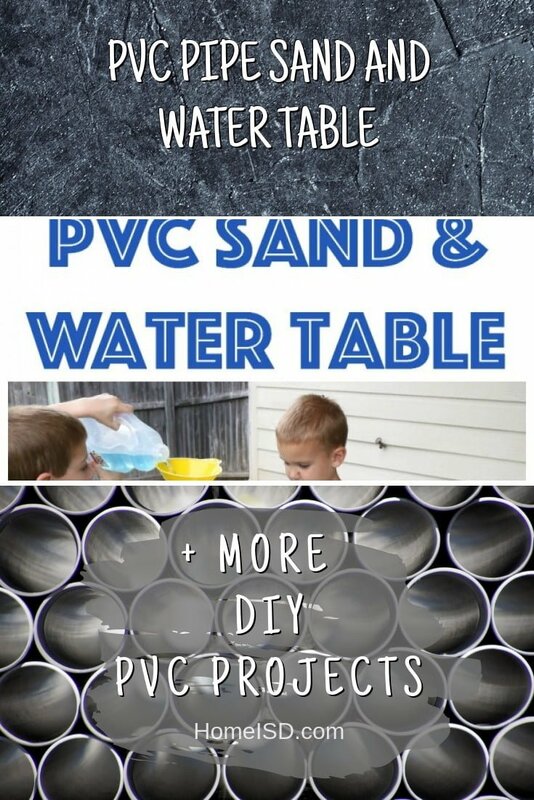 Use PVC pipe to make a sand and water table for kids. 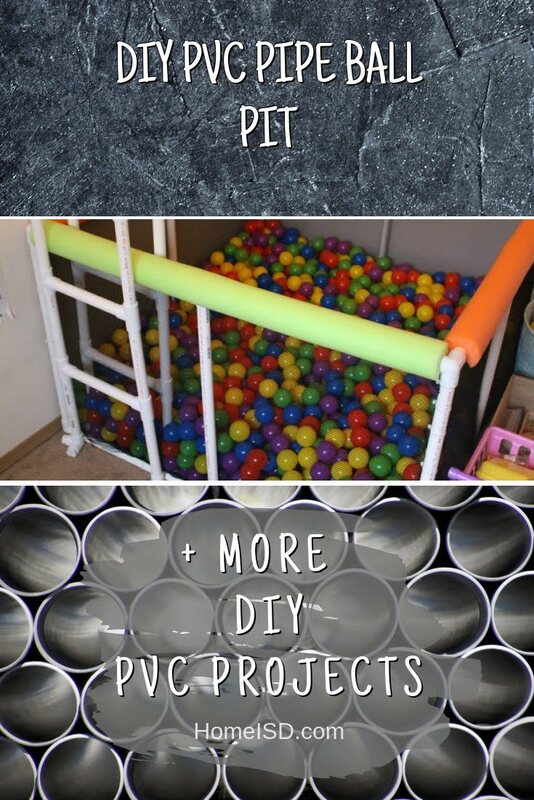 Your kids will love this sensory play table. Read the article to find out how to do it. 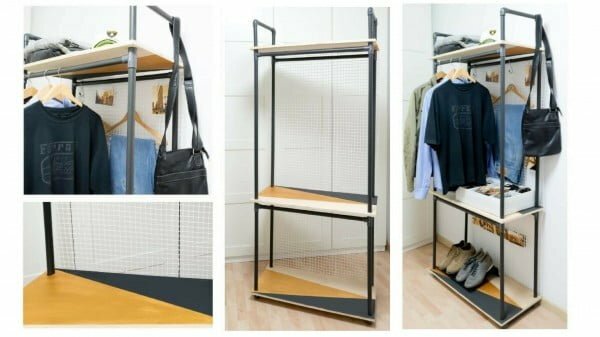 Do you need extra space to store your clothes? 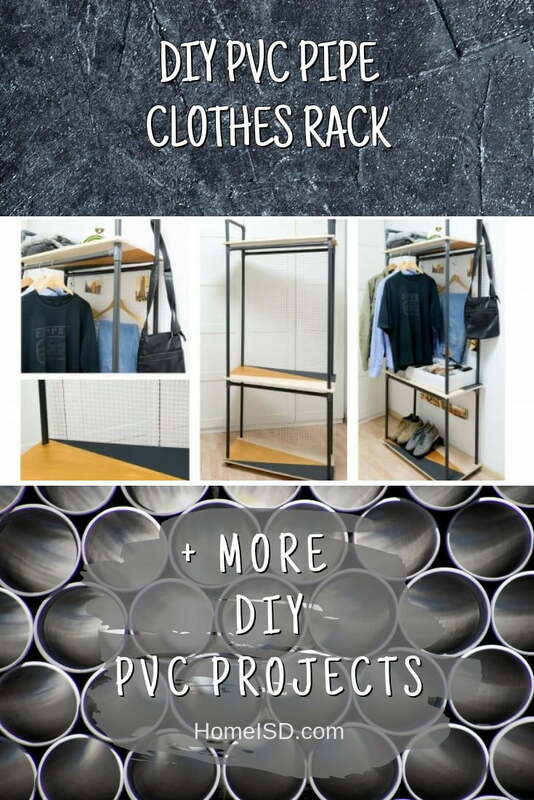 If the answer is yes, or you want more general storage then don’t miss this step by step tutorial for a PVC pipe clothes rack. Read the link to see how it’s done. 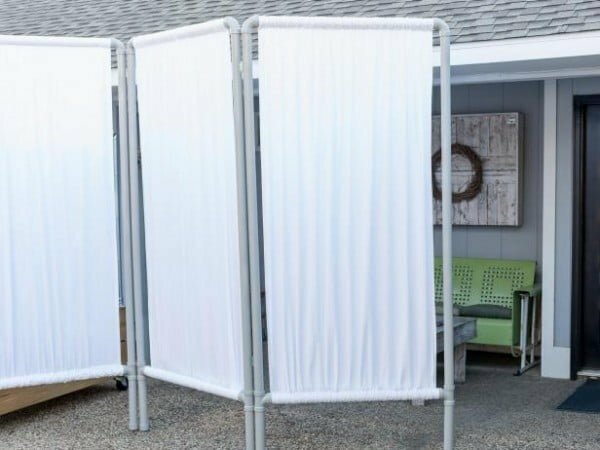 Can’t hang curtains from your deck or patio? 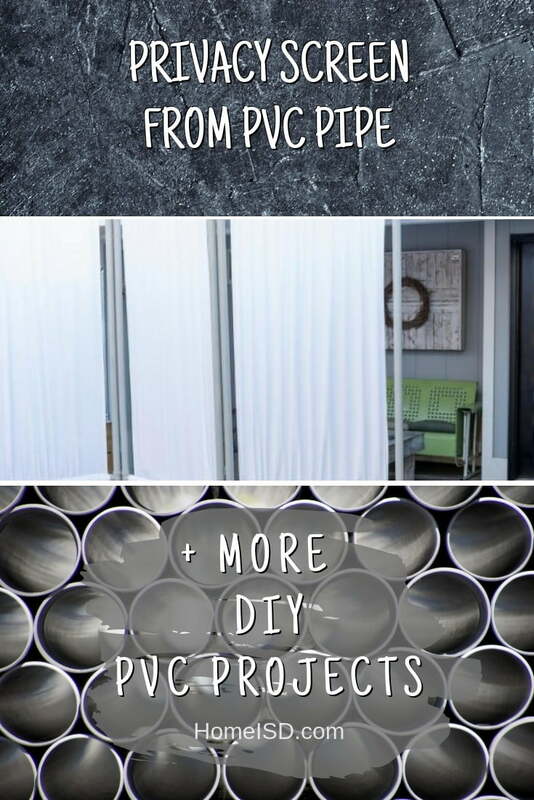 Get the look by making this portable privacy screen with PVC tubing and simple, inexpensive bedsheets. 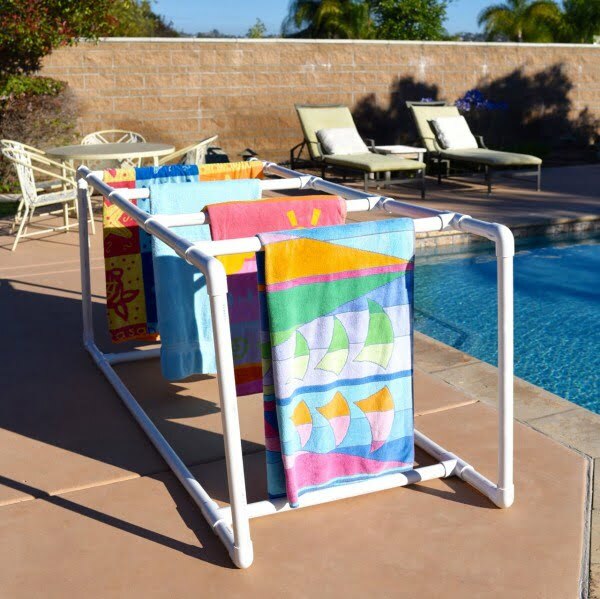 You can use any color sheets for this customizable project to complement your other outdoor decor. Follow the link to see the complete plans. Love tape? 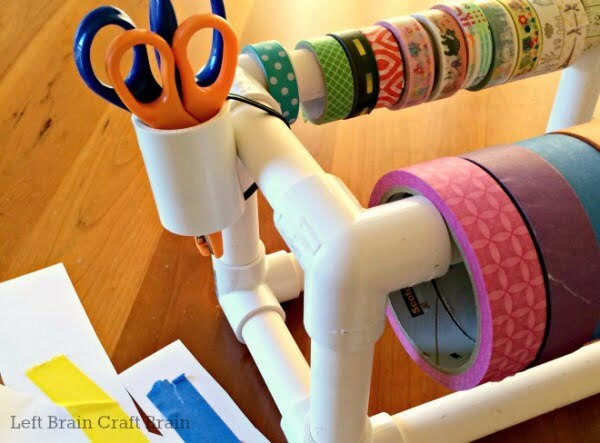 Make a tape dispenser from PVC pipe. 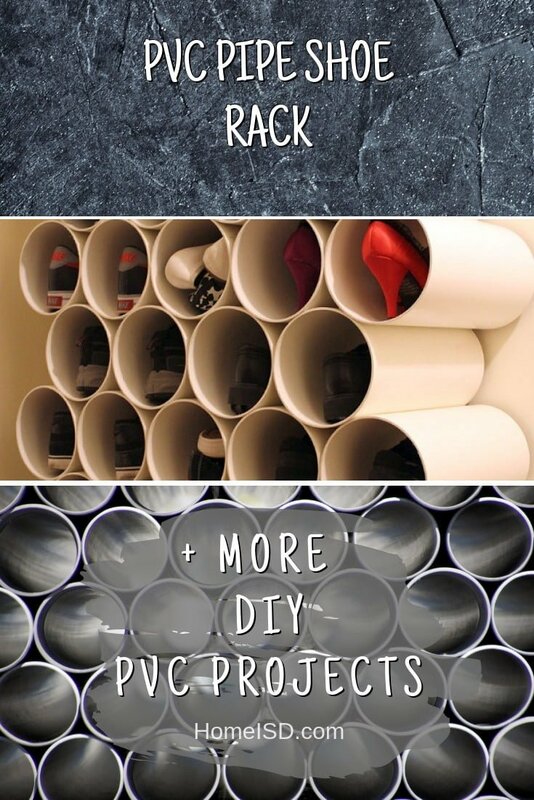 It’s an easy and fun building project for kids or adults to help get you organized. Read this website to see the entire details and instructions.